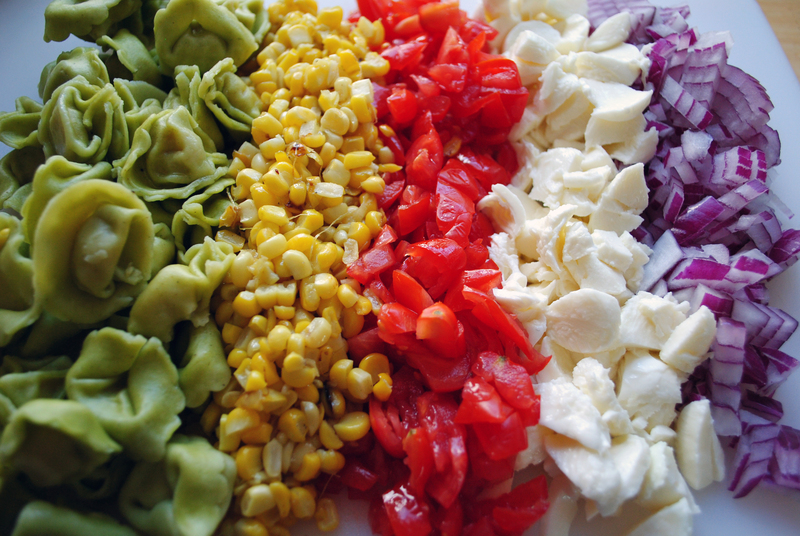 I am absolutely terrible at packing my lunch for work — I try to bring leftovers every once in a while, but I tend to prefer heading out for lunch to get something fresh. 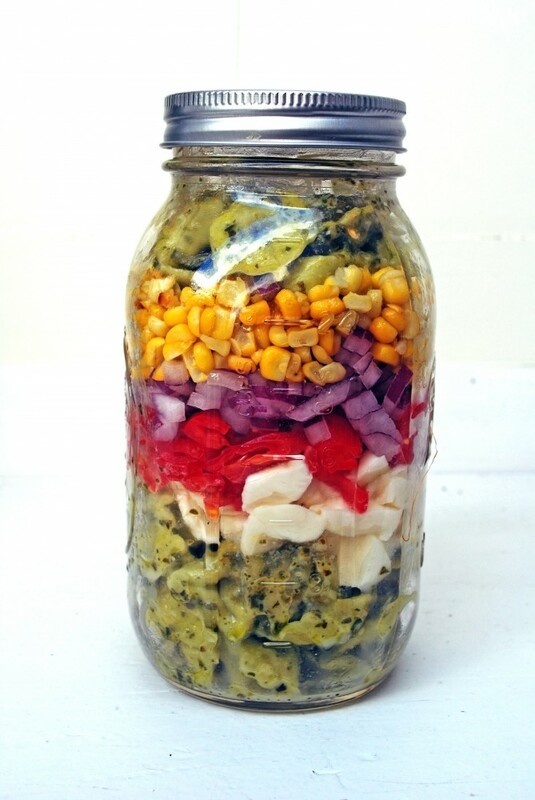 When a copy of Mason Jar Salads and More showed up in my mailbox though, I figured it was good motivation to make something tasty to bring along with me to work this week. 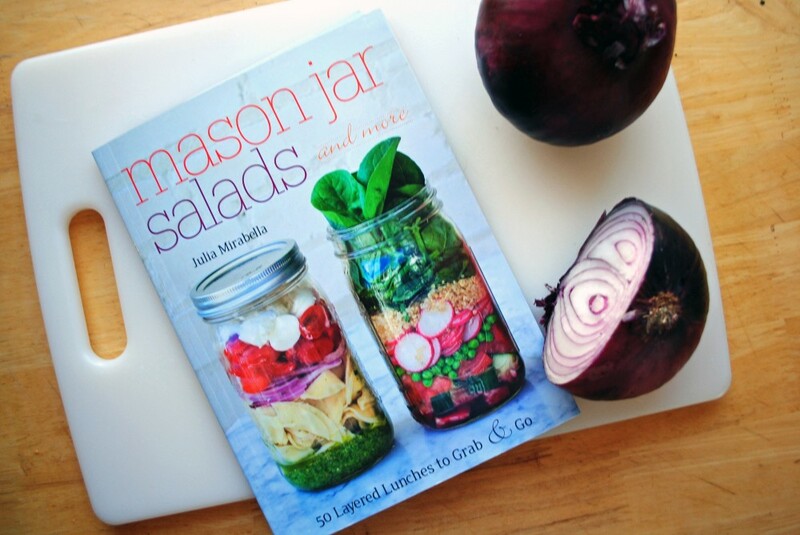 The book has lots of good tips for layering salads and meal ingredients in mason jars to keep them fresh and crisp (dressing on the bottom, and pack down ingredients over it to keep other ingredients from getting soggy!). 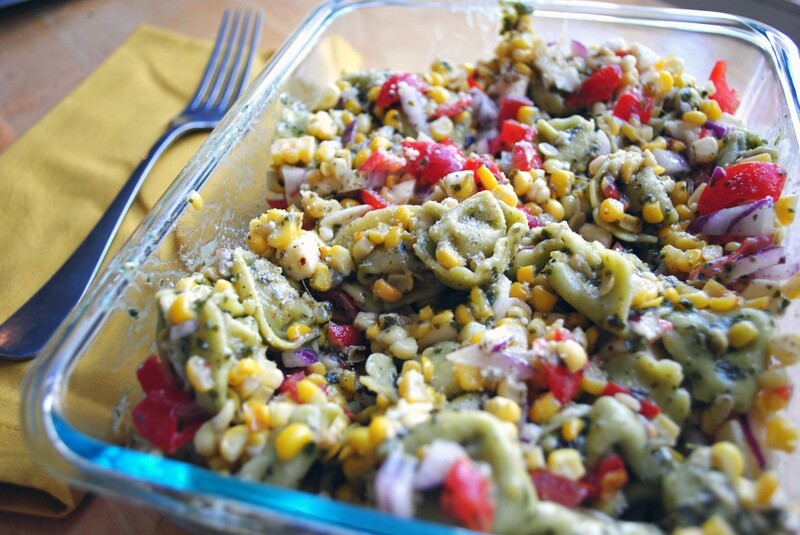 I took inspiration from the book’s caprese pasta recipe and made my own version: spinach tortellini with pesto, mozzarella, grape tomatoes, red onions, grilled corn, and more tortellini on top — the flavors melded together great! 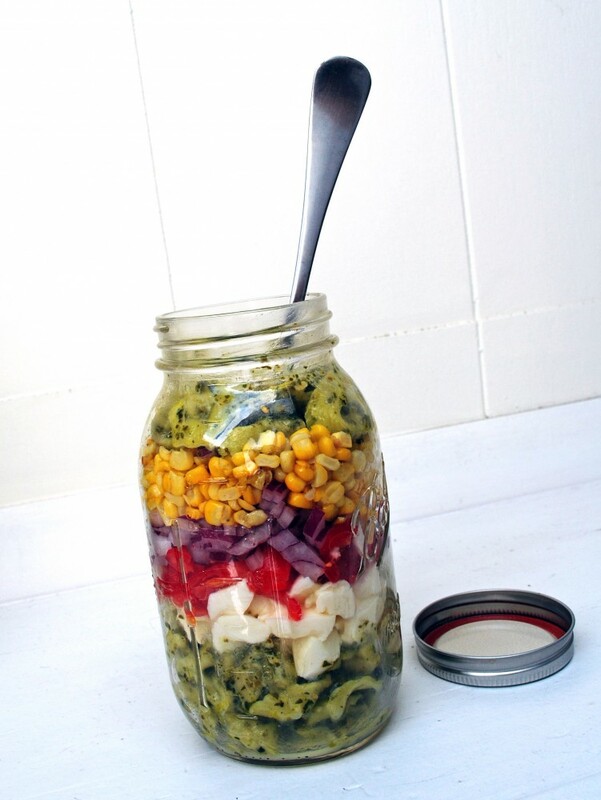 2 Responses to "Mason Jar Salads." genius. I need to do this more. actually, I first need to remember to grab it out of the fridge when I leave in the morning.